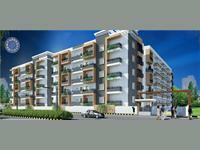 Looking for a property in Vidyaranyapura? Have a property in Vidyaranyapura? 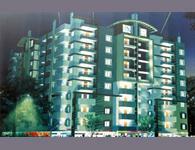 Vidyaranyapura is situated in the prime area close to bus stop, banks, schools, airport. A well secured and planned Defense Layout near Last Bus stop. Daily needs available within walk ind distance. Hospital, schools etc. All conveniently located within 2 km radius. Vidyaranyapura a less known suburb on the outskirts of Bangalore, is now developing into a very busy locality. It is now the only well-developed suburb near International Airport. Vidyaranyapura which used to be a hard to reach locality with smaller crowded roads is now well connected with Bellary road. It is also extending into the major commercial hub of Bangalore. Vidyaranyapura, Bangalore is rated 6 out of 10 based on 4 user reviews. Have a good knowledge of Vidyaranyapura? Share it and become a Locality expert. Samaya Sonata residential project is presented by Samaya Developers, offering 2BHK and 3BHK apartments in Vidyaranyapura, Bangalore. mirror of dreams and aspirations for a good life. Tranquil Heights new offering is a g+7 storey high rise residential complex compromising of luxurious 2 and 3 bhk apartments. 3BHK Builder Floor in IHA.